Creative partners ever since they met in art school, are now working artists, married and sharing a studio. 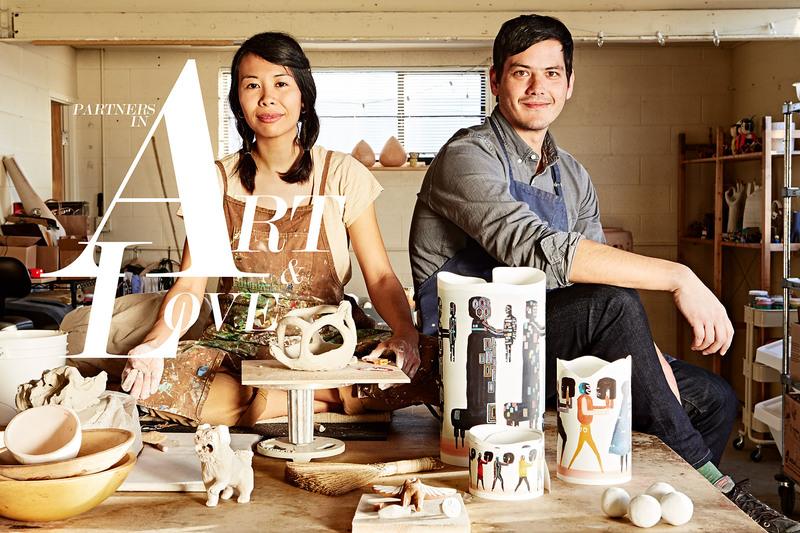 Rob paints beautiful visions in watercolor, Ako brings whimsical ceramic objects to life, and they often collaborate on creating entire bodies of work for art shows. Their shared kindness and support was beautiful to witness, and it was sheer pleasure to spend the day watching them fashion their current works.